About > News > News > Smart Business: Ideal Market. Led by third-generation family members Shannon, Pat and Jenny McCord, Ideal Market provides healthy and affordable quality groceries, everyday essentials, and items from all around the world – truly a one-stop shop! 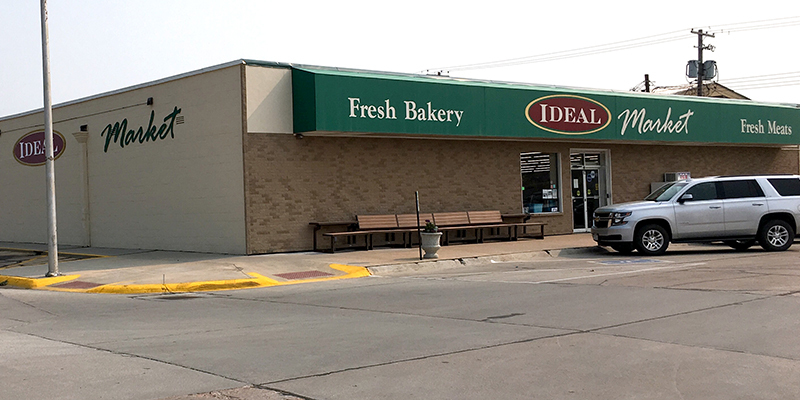 When you visit Ideal Market, you’ll get your groceries carried out to your car. This simple act of kindness and exceptional service shows customers they are like family and part of the close-knit community. While there, grab yourself a famous Gravel Top donut. It’s a cinnamon roll covered with maple frosting and a yellow butterscotch crunch. When people come back home to visit, this rare treat is a must-have. Like us, Ideal Market loves to give back to the community. Shannon, Pat and Jenny are members of multiple boards and regularly volunteer at nonprofit events. Sometimes they even bring a bounce house along for fun. Farmers & Merchants Bank is proud to provide Ideal Market with business banking products and services to help them meet their goals. We look forward to continuing to be there for them while they give their community what it deserves – such as that scrumptious donut.